Both overrated and underrated, Claude Makélélé’s public perception changes with each passing year. Perhaps it’s the idea that we’ve already seen his upgrade in the form of the high-speed blur that is N’Golo Kanté. After all, Kanté is a perfect example of the modern defensive midfielder, a status honed by his role played in Leicester City’s improbable title win. It’s clear that he still thinks he has an edge over the new blood, while his longevity at the top does set him apart from the present-day variation. 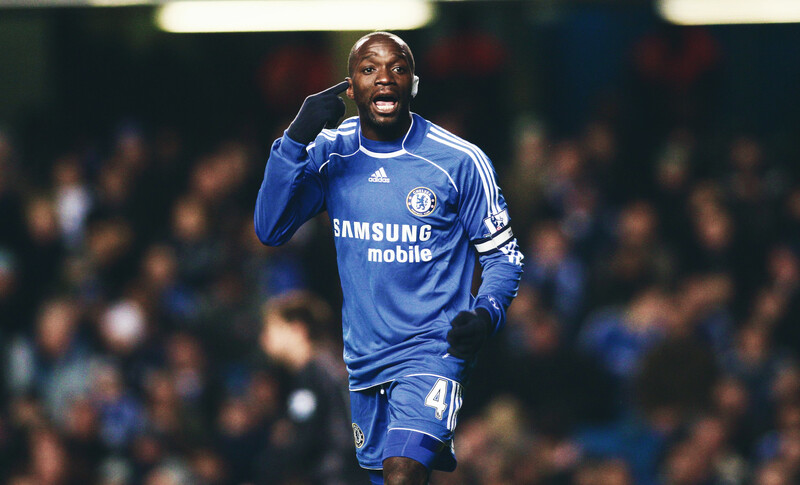 But what made Makélélé so special, and has he been surpassed by the next generation of shin kickers? When you take a step back to appreciate his career, it’s clear why he still has players like Kanté in a metaphorical headlock. It’s why he can impart his opinion on the current state of affairs with credibility that comes with a wealth of experience, without coming off too bitterly. His story begins in France, where it didn’t take long for his talents to become apparent. After moving from Zaire at the age of four, Makélélé soon took steps to follow in his father’s footsteps in football. As a youngster he was recruited by Brest, and later Nantes – for whom he made his debut at the age of 19. He made over 150 league appearances over the next five years, playing in more of an attacking role than you might expect. It actually led to a tally of six league goals in his maiden season, twice any amount he’d ever score during the remainder of his career. Makélélé was never known for his goals, though as Nantes won the Ligue 1 title in 1995, he started to morph into a true destroyer. It was here that he began to concentrate on the defensive dark arts, mopping up and recycling with more vigour than a pumped-up Mr Muscle. The unfancied team went further still, reaching the semi-finals of the Champions League before falling to the might of eventual winners Juventus, losing 4-3 on aggregate. Makélélé then spent a year playing for Marseille, nabbing the odd goal as the team finished fourth in Ligue 1. By then he was beginning to garner international attention, and it was time for the big fish to move to a larger pond. During his time in France he had continued to grow, and the world had slowly begun to take notice. He was yet to prove he could replicate his form for the very best, but a promising career was ready to climb to the next level of the footballing ladder. 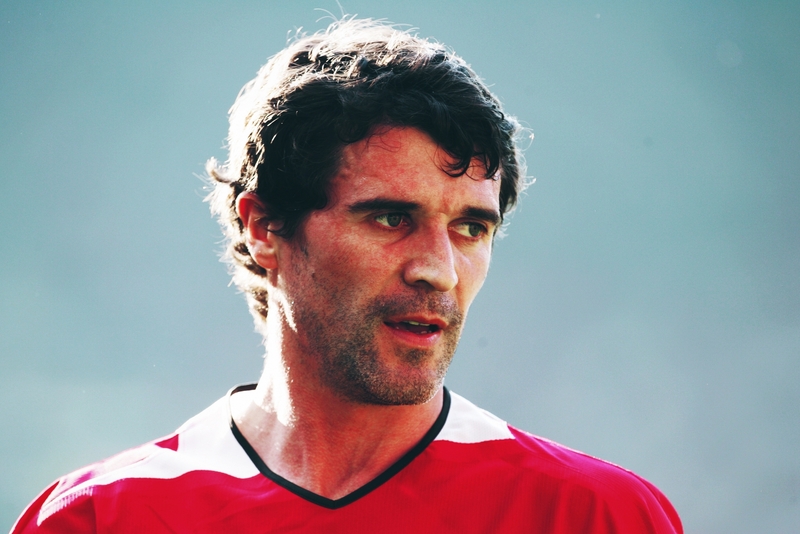 Spanish football was in the midst of a revival when the midfielder arrived on their shores. Marseille accepted a bid from Celta Vigo, which saw a continuation of their recent good fortune on the pitch. Los Célticos had begun knocking on the door with a promising run that saw them finish among the top spots in consecutive seasons, although they never really threatened to win the league. With the addition of Makélélé, Celta only just missed out on European qualification, after a successful season that saw the club do the double over Real Madrid. The Frenchman scored the winner in the first, and he caught the eye of a number of teams across the globe. After two seasons, club chairman Horacio Gómez seemed resigned to losing the player, but was determined to get a decent price for a talent he saw as their very best, and one who could match up with anyone in La Liga. Valencia looked set to complete the signing, and Makélélé ended up going on strike to facilitate the move. He skipped training, essentially refusing to play for Celta again. It was a cynical move from one of their star players, but it got the desired result in the end. The news of his revolt meant he was soon headhunted, although his current club weren’t in the mood to sell their prize asset for a pittance. Real Madrid were clear favourites to secure his signature when they threw their hat into the ring despite reasonable interest from England, with Manchester United and Arsenal reported to be in the running. La Real, however, have a habit of getting their man. Playing regularly in a midfield comprised of Zinedine Zidane, Luís Figo and the like was an accolade in itself, but discontent slowly started to fester despite a host of trophies and titles. Over the next three years he won two league titles and the Champions League, although he lacked the plaudits – and wages – that followed his fellow midfielders. When it came to negotiating a new contract in 2005, he took no prisoners when the two sides found themselves miles apart in terms of their valuation. After all, he was always named in the first team when fit, and he was an integral part of the way they played. His selflessness allowed flair players to flourish and gave balance to the team. Makélélé decided to remedy the situation by complaining to the media, despite having three years left on his contact. The money was clearly an issue for a player who was driven to earn what he perceived as his true worth. He was more than a water-carrier, but was paid five times less than the likes of David Beckham. It’s clear that the club’s hierarchy viewed him as an expendable asset, with skills of little value in comparison to the attackers. With his comments to the media making headlines worldwide, he made himself surplus to requirements as the owner decided to call his bluff. One new Galáctico entered every season, and each meant a couple of current players would have to vacate their place in the team. Pérez clearly wanted Makélélé to stay, although his refusal to budge on wages shows how much he underestimated his value. Allowing Makélélé to go wasn’t the best decision, and he was clearly missed by his former teammates. It’s easy to see in hindsight, but the player did have a point. Why should a defensive midfielder accept the argument that he’s not worth as much to the team? The French international arrived in London as an established star in 2003, though his former club president’s warning meant there was still some cause for concern. Most dismissed the comments as a bitter outcome of the transfer saga, but would his limitations be exposed without Galácticos around him to add sparkle to his efforts? The worries turned out to be unfounded, as he slipped into a similar role for his new team. At 30, he was fighting against time, but he must have been fired up to prove he was worth the money. A decade later he’s still well remembered at Chelsea, having achieved legend status thanks to his exploits. Depending on the source, you’ll hear about how he revolutionised the league with his role as a true defensive midfielder, or that he ruined the game because of the tactical changes that heralded his arrival. With the arrival of José Mourinho and Makélélé, the switch to 4-3-3 with a holding midfielder became very much in vogue. He certainly helped to influence a tactical switch on English shores, as 4-3-3 was used to run rampant. The Blues broke numerous records on their way to winning their first Premier League title, topping it off with a second win a year later. Their first top-flight trophy for 50 years made the team instant heroes, and nobody seemed to care that he never scored, least of all Makélélé himself. No matter your view on his legacy in England, he stamped his mark in west London. After all, the Blues don’t wax lyrical about the unique abilities of John Obi Mikel, despite his defensive talents. Makélélé proved he was more than just a grafter. He provided the fuel in the engine room, covering for expansive attacking talents such as Frank Lampard and Arjen Robben. He earned two titles for a team that had won none in the past 50 years, and Claudio Ranieri aptly named him as the battery that powered his expensive Rolex upon his arrival. The Blues are ruthless when it comes to culling older members of their squad. Makélélé got to stick around for five years, and there’s no doubt he was worth the money. After all, what’s the point in paying for a Rolex if you’re going to scrimp on the battery? He was still in demand at the age of 35, joining Paris Saint-Germain in 2008. His legs had begun to give way, but the diminished state of competition gave him a chance to play a productive role before the dawn of the Qatari project. Originally he planned to leave after one year but decided to extend his contract for a further 12 months after sustaining a decent level of form. As with the France squad, he was just too difficult to replace, even in the twilight of his career. Makélélé went on to win the Coupe de France in his second season with the club, and finally bowed out a year later. He had been able to help another team on to new beginnings, and prove he was truly irreplaceable. 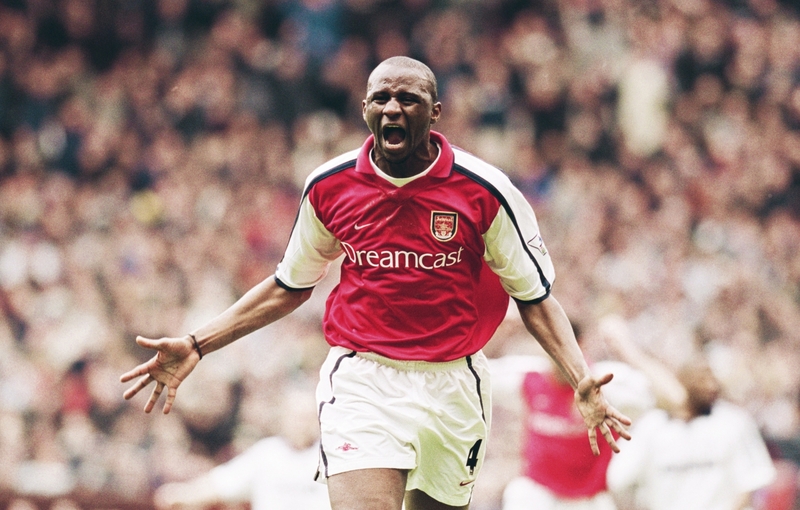 International caps weren’t in plentiful supply during the early stages of his career, with the obvious talents of Patrick Vieira hindering his progress with the full force of one of his death stares. Appearances in the 1996 Olympic squad were a good start, though he had to wait until Euro 2000 to make an impact on the senior side. They won the tournament, and he played in the team that reached the final in 2006. He first retired from the squad in 2004 but returned less than a year later to lead the team along with Zidane and Lilian Thuram. He planned to quit after the World Cup final but his manager Raymond Domenech had different ideas. Despite protests from the player and his club manager Mourinho, they eventually agreed that Makélélé would help out in the qualifying games for Euro 2008. The team collapsed in the group stages of the tournament itself, after which he was finally allowed to disappear from the international scene. Makélélé may not have revolutionised the game but he did cause a tactical rethink across much of England. Suddenly, top flight teams adopted the 4-3-3 en masse, ensuring solidarity with the addition of a dedicated defensive midfielder. In the twilight of his career, he proved that his intelligence and ability to regain and retain the ball weren’t down to physical attributes. If power goes last for boxers, Makélélé retained the characteristics that made him unique for longer than he rightfully should have, playing 30-plus game seasons until the age of 38. It’s fair to say that the ‘Makélélé role’ has been refined over the last decade, while players like Kanté have arguably added more end product in the final third. Regardless, when Kanté was named as the Player of the Season in England for the second time, the former still wasn’t ready to pass the torch. He went on to manage Bastia in 2014, although he was sacked after a disappointing run of 13 games. Afterwards, he likened the experience to an internship, claiming he was only there to get his coaching badges. Considering his ruthlessness in the past, it was typical Makélélé. On the pitch, however, he was a generous player who allowed others to blossom with a mix of self-sacrifice and graft. All he really wanted was to be paid comparably to his teammates, and to get some of the recognition he missed out on during his time at Real Madrid. He did end up with a role named after him, which is decent compensation overall. It’s funny; for a player who was perceptibly humble on the field, he always knew when to fight his corner.